Uranus in Taurus goes retrograde on 7 August 2018 to stay out of action for 5 months, all the way until 6 January 2019. Uranus is the planet of the unexpected! It symbolises progress, liberation and sudden change. When Uranus goes retrograde, it's an opportunity to adjust to such developments and embrace changes more consciously in your life. The crazy merry-go-round momentarily stops and you're no longer blindsided by events. Uranus' station is a tense, dizzying moment as you hang there in mid-air... Soon enough, you get your bearings and from this new vantage point you can decide to accept some changes and discard others. You’ll be ready to move forward into a ‘new normal’ come January next year. Outer planet Uranus works it's magic by giving you electric shocks to wake you up from your stupor. When Uranus goes retrograde (once a year) you say "enough with the taser gun already! I'm ready for change. I'm ready to cooperate with the Universe!" And so you are. This year’s Uranus retrograde is doubly important because Uranus changes signs, twice! During its retrograde motion, Uranus will move back into Aries on 6 November 2018, as he’s got some loose ends to tidy up over there. Once done he’ll move full speed ahead back into Taurus on 6 March 2019, this time to stay there for good (or until 2026). Chances are, you were caught by surprise when Uranus first entered Taurus in May 2018. As Uranus backtracks into Aries now, you’ll have a chance to finalise any last minute changes that were left pending in all the madness and make the mental shift necessary to embrace new developments that occurred since May. 6 March 2019 — Uranus goes back into Taurus, this time to stay until 2025-26. 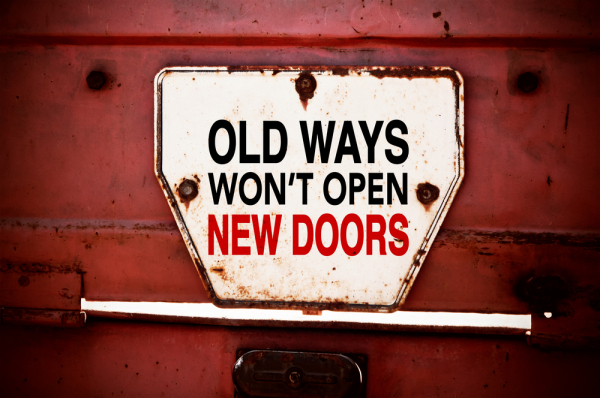 Are you ready to make changes within to facilitate changes without? Are you ready to experience greater freedom? To embrace something new? To break new ground? Check out your star sign and find out what Uranus retrograde has in store for you! If you'd like a more in depth personal reading based on your unique birth-chart, dial 0207 111 6304 from the UK or 1877 608 3731 from the USA and speak to one of our excellent stargazers! You may have had a financial shock or two since May 2018, dear Aries, and your attitude toward money has started to change as a result. If you’ve been forced to make decisions that you’re not comfortable with, this is your chance to review the situation and commit one hundred percent to your new set of values and priorities. Ask yourself: what needs to change for you to enjoy greater financial freedom? From November till March, you have a chance to focus on yourself more selfishly once more. A liberating experience will put the finishing touches on the NEW YOU that’s been in the making since 2011! You’ve been mounting your very own personal revolution ever since May 2018, dear Taurus, and sometimes you’ve even surprised yourself with your antics! Time to stop these teenage rebellion tactics and ask yourself more seriously: What is it that I want out of life? What sort of changes do I need to make for it to happen and what’s the best way to make them? Start with yourself, your own attitude, your personal goals and even your appearance. November to March is a good time to drop under the radar for one last time and fine-tune your intuition. A big secret will finally be revealed. This way you’ll be ready to explode into the scene come March! Secrets have been coming to light since May, dear Gemini, shocking things which took you entirely by surprise! These changes feel totally out of your control at the minute but the time has come for you to take a breath and adjust to these new electric undercurrents. Take a moment to ask yourself: What am I not seeing that is right in front of me? What am I suppressing that is itching to come out? This is a good period for meditation, for honing your intuition and for creative activities. From November till March, you’ll have a chance to revisit your rapidly evolving hopes and dreams for the future. Shockwaves in your social circle will set you free to pursue new ideals. Have you made loads of new friends since spring 2018, dear Cancer? Have these people been thrust upon you before you’ve even had a chance to say ‘Yay’ or ‘Nay’? New characters are populating your life in numbers, introducing you to new and radical dreams and ideals. Ask yourself: what do I aspire to? Is this new gang in line with my aspirations? The time has come to decide if you belong and dare to follow your dreams! Use November to March to reconsider your career and life direction, which has been up and down like a yoyo of late. One last career shake up will liberate you to set new goals. You're free to choose who you want to be, dear Leo, and there is no rule-book to get you there - or so you've realised since May! At the very least, you’ve stopped thinking along the same old lines when it comes to your career, your overall direction and your role in life. Did you think of yourself of the dutiful spouse? The solid parent? A certain kind of professional? No longer! Ask yourself: who do/did I want to be when I grow up? What's my aim? The field is blown wide open and it’s time for you to experiment until you find your true path. From November till March you’ll have a chance to resolve any pending legal, academic or international matters and even garner greater publicity - you could get a big break to get you ready to launch! What’s your philosophy of life, dear Virgo? What are you prepared to stand for? What colours will you pin to your mast? Questions of faith/mental outlook and publicity, as well as education, international affairs and travel have been on your mind since May 2018 and you may have been contemplating some pretty daring plans. Life has been challenging you to question the contents of your mind, break away from dogma and even publicise your views, no matter how shocking! Time to be more open-minded, come out of hiding and inspire others in the process. November to March 2019 brings a final cutting of ties, also helping you sort out any debt, joint financial or tax matters. This paves your way to freedom! Uranus in Taurus since May 2018 has made sock-waves in your intimate relationships and your finances, dear Libra. Sudden events - a windfall, crisis or betrayal - might have forced you to create some unusual bonds or even pushed you and a loved one apart. If you’re pretty shaken by the whole affair, it’s time to catch your breath and decide how you want to proceed from here. This is also a good time to reconsider a division of property, a loan or investment. November to March 2019 might bring one final relationship surprise. This could see people leave your life or even liberate you from a contract, a partner or an enemy - or even from your own attitude toward others - so you can enter a new phase in your relationships. Who is this person sitting across from you, dear Scorpio? Why are people being so weird and unreliable these days? You might feel like the rules of the relationship game have suddenly changed and you’re not sure you’re quite au fait with these changes. That's because, since May, others are hell-bent on challenging you and bringing greater excitement into your life! Now they’re backing off a little and you finally can ponder the question: are you ready to meet others half way? Are you ready to experience more freedom and adventure in your relationships - business and personal - and to experiment a little? From November to March, you can revisit your work and daily routine, which has seen so many unexpected changes in recent years. One last lifestyle tweak and you’ll be ready to meet others head on. Uranus in Taurus has brought some sudden changes at work, dear Sagittarius. Is it a redundancy? Or maybe you’re restless and chafing at the bonds of your daily grind? That’s only the beginning. Uranus is hell-bent on breaking up your rigid routine. This will help improve your health in the long run and bring greater job satisfaction. Take a moment to acknowledge your own restlessness and ask yourself: what lifestyle changes am I prepared to make right now? What sort of life do I want on a daily basis? November till March could bring surprises on the love front. Your heart is finally set free to move on toward new experiences in love, as well as greater joy and creative self expression! You’re tired of doing the right thing, dear Capricorn, and goodness knows you don’t shirk your duties. But where is the joy in that? You’ve been feeling increasingly more frisky and rebellious in matters of the heart (and creative self expression!) with Uranus in Taurus since May. So this is your chance to stop and ask yourself: am I making space for fun in my life? Am I allowing my own creativity to blossom? Do I enjoy love and romance? If there are still any home and family changes left pending, November to March will give you the chance to liberate yourself from your past, tidy up loose ends and set your life on a new foundation. You’ve itchy feet ever since May, dear Aquarius, and we wouldn’t put it past you if you upped and left all of a sudden, moving your base, your house, your family or even breaking ties. But, of course, that’s not you. You’re rebellious but you do take time to make decisions. Well, this is your chance to rethink the very cornerstone of your life, the whole way you’ve set yourself up. What changes to you want to make to your base? To your home, your family or country of residence? November to March brings lots of excitement, travel and interesting news and communications. This is the time to revisit your boldest ideas and decide which ones you want to take forward. Your whole world is buzzing with activity ever since May, dear Pisces, and you’ve not had a single moment to gather your thoughts. Are people driving you to distraction? Or is it a crazy commute that does the trick? Your nervous system is on overdrive and it’s time to hit pause on all this chatter and take a moment and sort through the contents of your mind. What ideas are worth their salt and which would you discard? From November to March, you’ll revisit money matters and review your priorities. Your financial situation is unrecognisable from what it was in 2010 and you’re in for one last little surprise. All the better to unleash your imaginative mind come spring 2019!